Waterloo City Council members approve one-year contract with V&A | Vandewalle & Associates, Inc.
EXCERPTS FROM WCFCOURIER.COM: Waterloo City Council members voted July 30 to approve a new one-year, $72,000 agreement with Vandewalle and Associates of Madison, Wis., to continue providing urban planning services for downtown redevelopment efforts. Vandewalle was the original architect of the city’s downtown master plan, started in 1999, and has been kept on board for the past 18 years to help both the city and Waterloo Development Corp. implement downtown projects. Company president Brian Vandewalle said he couldn’t predict how long the city may choose to use his firm, but noted some $100 million in projects are in the pipeline. Marta Purdy, the Vandewalle planner assigned to Waterloo, ran through a $180 million list of completed projects including the Phelps Youth Pavilion, RiverLoop Expo and RiverLoop Amphitheater, riverside trails and enhancements, Cedar Valley SportsPlex, Cedar Valley TechWorks, Courtyard by Marriott Hotel, Grand Condominiums and more. She noted the effort has resulted in 400 new downtown residences, with 200 more in the works, and 59,000 annual hotel visitors. That equates to $1.7 million in new downtown spending each year, she said. Community Planning and Development Director Noel Anderson said Vandewalle’s expertise is vital to complying with the Iowa Reinvestment District around the TechWorks. 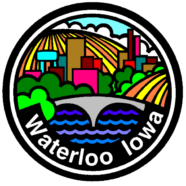 Waterloo is getting 20 years of state sales tax and hotel-motel taxes generated in the district and needs development to pay off the city’s $12 million loan to projects there. Mayor Quentin Hart threw his support behind the contract.